It simply means - Test of English as a Foreign Language . 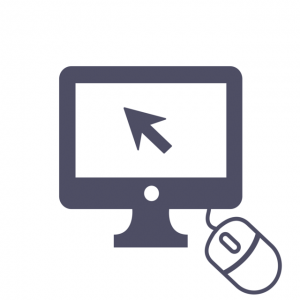 It's administered via the Internet by “Educational Testing Service” (ETS) . TOEFL paper helps to judge your English-language skills. The test measures your ability to use and understand English at the university level. And it evaluates how well you combine your listening, reading, speaking and writing skills to perform academic tasks. More than 27 million people from all over the world have taken this test to demonstrate their English-language proficiency. The average English skill level ranges between Intermediate and Advanced. Where and When Can I Take the TOEFL exam in Ludhiana? This test has more than 50 test dates per year and the locations than any other English-language test in the world. What Does the exam cost in India? The Fees for the exam can range from US$160 to US$250 and varies between countries but the Cost of the exam in India is $170 for now. Who Accepts the test scores? More than 9,000 colleges, agencies and other institutions in over 130 countries accept these scores. For more information, including using your scores to satisfy visa requirements in Australia and the United Kingdom, how to find institutions that accept TOEFL Scores. Each of the four sections are scored on a scale of 0 to 30. How are the Test Modules divided ? The modules are divided into 4 parts : Listening, Reading, Writing and Speaking. 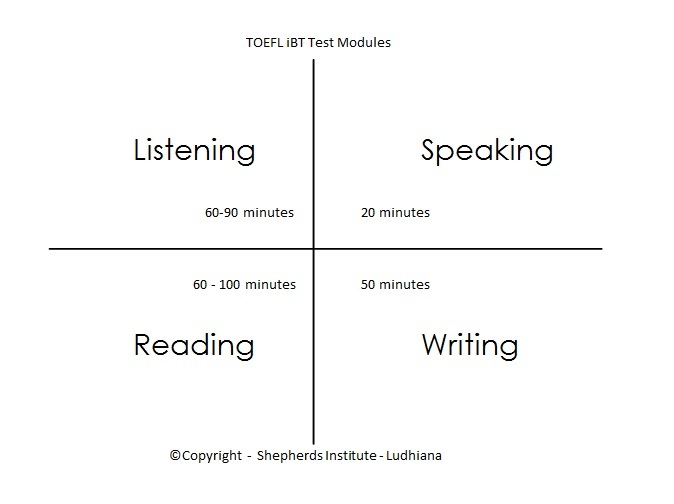 Please see a every easy diagram by Shepherds Institute for TOEFL training in Ludhiana.